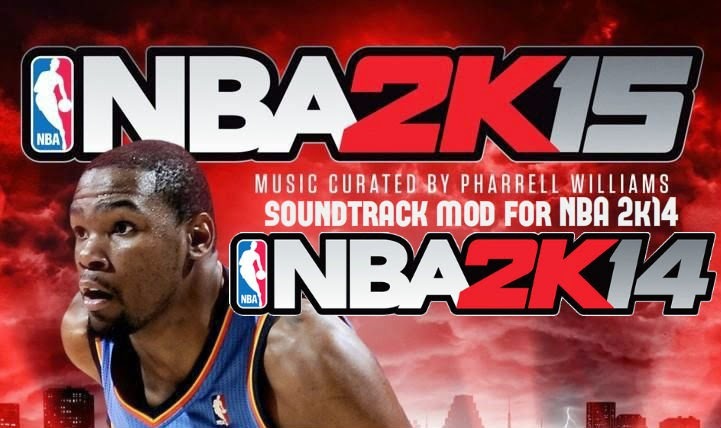 Download NBA 2k15 Soundtrack mod for NBA 2k14 (PC). Includes the latest soundtracks curated by Pharell Williams for NBA 2k15. The list of artists cover a wide variety of music genre, ranging from pop, rock, funk, electronic, R&B, hip-hop, to dance music. Below you can view the complete list of the songs. Click the download link and download the file from MediaFire. Extract the downloaded file with 7zip. Copy the jukeboxmusic.bin file and paste it in your NBA 2k14 Installation directory and replace the existing file. Play the game with all new NBA 2k14 soundtracks!